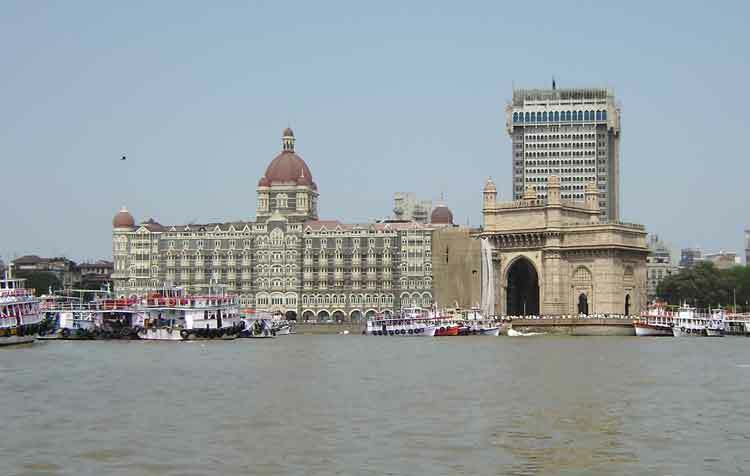 We've been enjoying the delights of Mumbai for over a week and are now looking forward to heading south to Goa. The Royal Bombay Yacht Club has been very hospitable, helping with the formalities and giving us all temporary membership. The Club facilities are very grand, gentlemen are required to dress properly (no flip-flops and in the evening no shorts and no sandals!). It is a haven where we can escape the heat of the city. We are also being well looked after by a local company, Marine Solutions, who are sponsoring a regatta for the passage to Goa. The yacht anchorage is not particularly comfortable and we are some way from the shore. Getting ashore is not easy and there is nowhere safe to leave our dinghies. The tidal range and currents are the problem. The RBYC have now arranged for us to use a water taxi service, which has made a big difference. 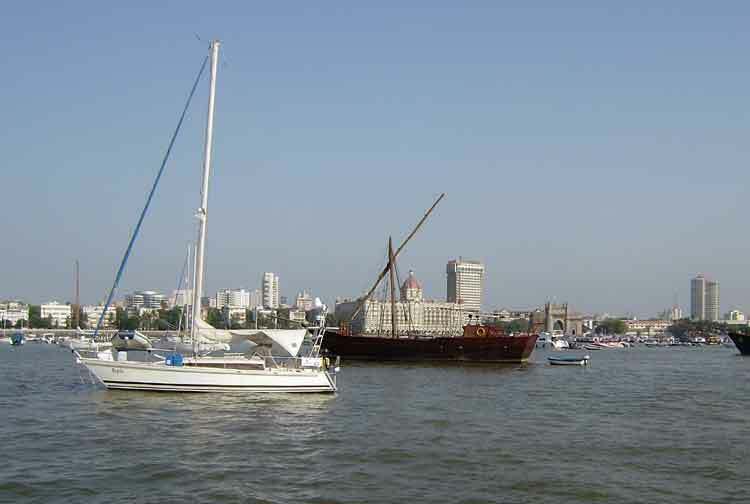 Once ashore Colaba, the area of Mumbai nearest the anchorage, is great fun with a wide range of shops, bars and restaurants to suit all tastes. We hadn't anticipated just how cosmopolitan and up-market it would be. It's easy to forget that some of the most wealthy people in the world live here. Needless to say we're content to eat lovely fresh Indian food, washed down with beer or wine, for a few £s in local restaurants. 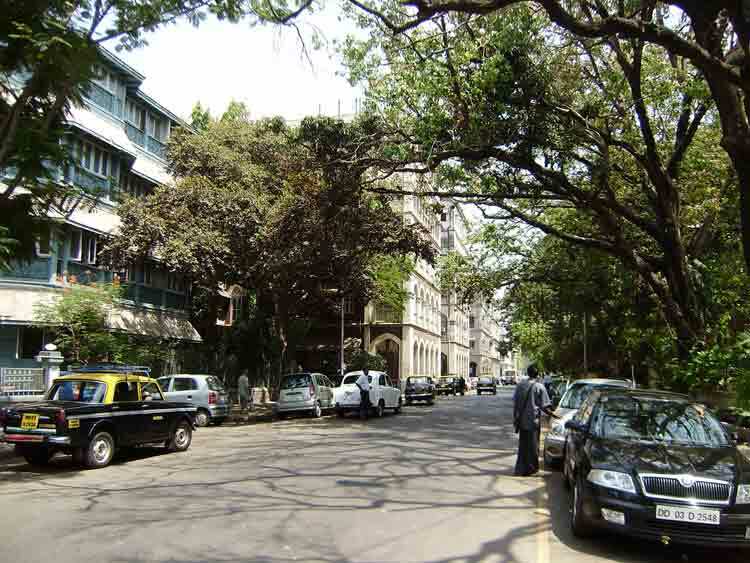 Mumbai has some wonderful old buildings in many different styles, including Art Deco. 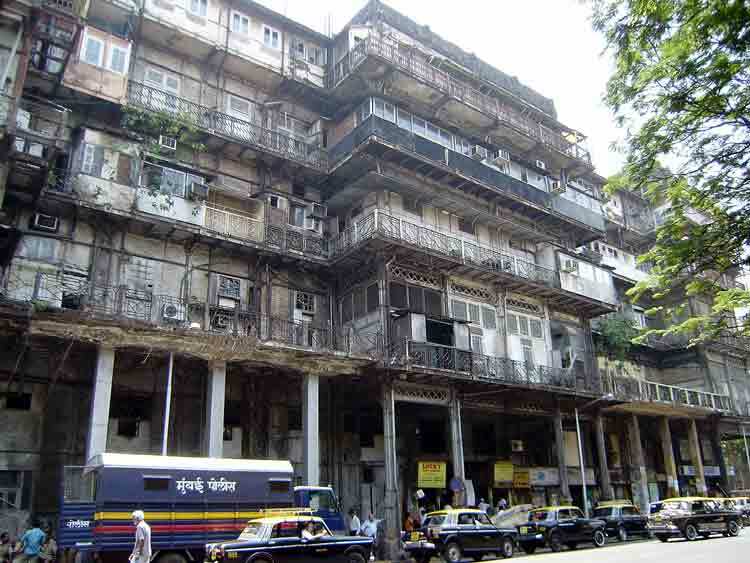 Some of the older buildings are well maintained but many look dirty and dilapidated, in contrast to the modern high rise buildings. There are lots of well-kept green spaces too. We have managed a bit of sight-seeing but the temperature and humidity is rising by the day so we're having to pace ourselves. We get a cooling breeze in the afternoon but it's often quite hot at night and in the mornings. 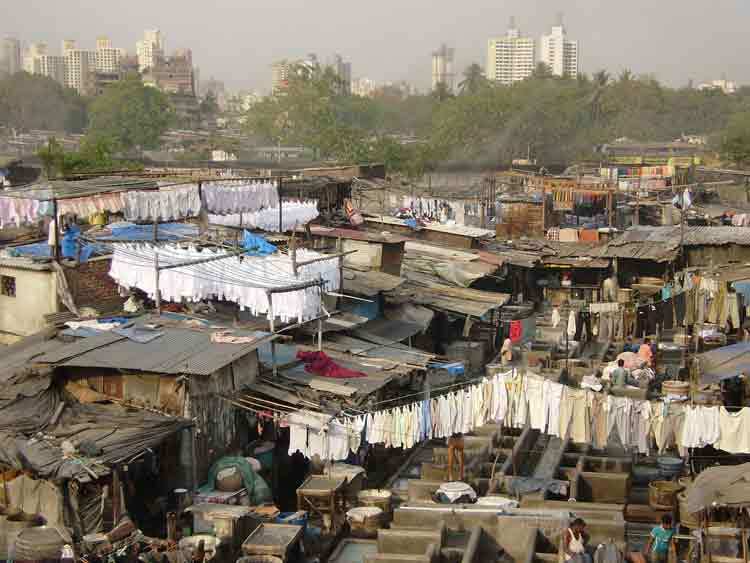 Public laundry - water supplied free by government, but what colour? Most of the local sailing activity is dinghy sailing, though there are a few local cruising yachts in the anchorage. We see a few dinghies out most days and more at the weekends. The season will end soon with the onset of the monsoon. The local press came out to see some of us, to report on the rally, and we tried to explain that the lack of yachting facilities in India is off-putting. While in Mumbai we had hoped to finalise arrangements for berthing in Goa over the monsoon period (May-September) but so far no one is prepared to provide the facilities we all want at a reasonable price. We are now considering Galle in Sri Lanka as an alternative. The next stage of the rally will be the "Forts of India" regatta, a two-stage 'race' to Goa starting tomorrow. Apart from the rally yachts we expect some of the local dinghies, 22 foot Seabirds, to join in. The first stage of the regatta will take us 100 miles to a small village called Jaigarh, where we will stop and be entertained for a day. The second stage will take us another 120 miles or so, reaching Goa on 17th April we hope.